YouTube's picture-in-picture (PiP) mode was initially limited to Premium users, but that changed last June as the feature was extended to non-Premium users in the US. More than nine months later, the PiP mode is now spreading to non-Premium subscribers outside the US too. 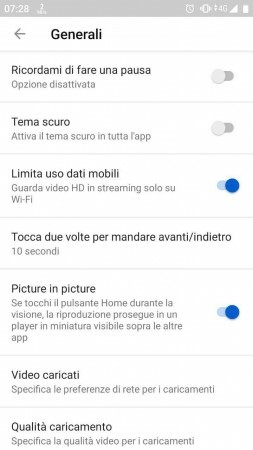 YouTube's PiP mode is currently rolling to non-Premium users in Italy, but if you happen to live in another country and have got this feature, let us know by dropping a comment below. The option to turn on PiP mode can be found in Settings > General menu in YouTube's Android app, but it only works on devices running Android 8.0 Oreo or later. With PiP mode enabled, you can watch videos in the background and switch to other apps. You can stream a YouTube video in PiP mode by pressing the Home button or executing the Home gesture after it starts playing. Whut?? I use youtube in my browser and I have PiP by default. Haven't used the youtube app for 1 year already.